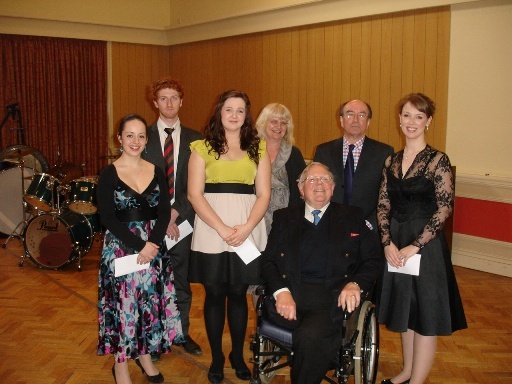 The 2012 AGM and Dinner was held on Sunday March 18th at the Royal Overseas League. Only 19 members were present at the AGM, which was disappointing. 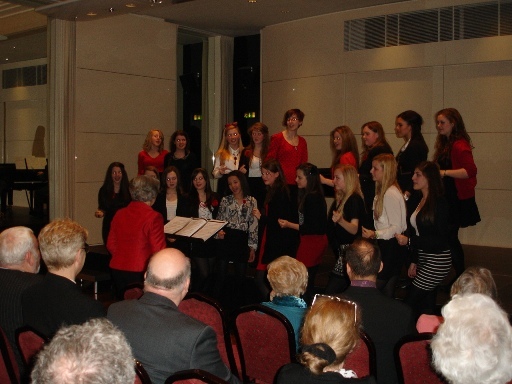 The pre-Dinner entertainment was provided by Jane Roberson, who brought her choir of girls, ‘The Churchfield Singers’. They sang with terrific energy and enthusiasm and their programme draw long and enthusiastic applause from the audience of around fifty members. Dinner was attended by forty three members and guests and both the meal and the service were excellent. Our guest speaker was one of our Honorary Presidents, composer, Professor Robert Saxton and he gave some fascinating insights into the art of setting words which brought the evening to a successful conclusion. The Chairman’s Speech may be found here. This entry was posted in Past Events on March 18, 2012 by AESS. 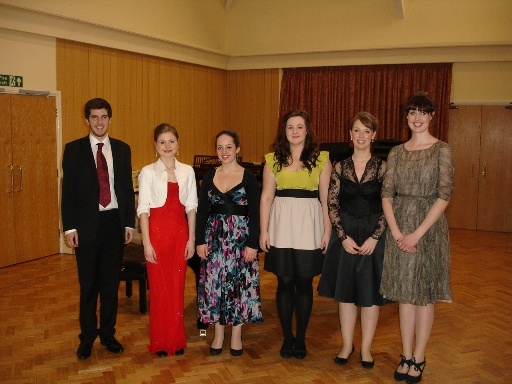 The final of the 2012 Association of English Singers and Speakers Courtney Kenny Award was held on March 11th in the Recital Hall of Tonbridge School. Courtney Kenny, Doriel Hulse and Richard Suart made up the Panel of Judges. The first prize of £1000 was awarded to Elizabeth Desbruslais, a student of Theresa Goble at the Guildhall School of Music and Drama. The runner-up was Olivia Clarke, a student of Eileen Price. She won £500 as did third-placed Jennie Witton, also from the Guildhall and taught by Susan McCulloch. The £500 prize for the accompanist went to Harry Sever. Thanks are due to the staff of Tonbridge School, our co-ordinator, Stephen Miles and to those who judged the preliminary round, Betty Roe, Marian Lines and Judy Hildesley. James Williams, Ella Bodeker, Olivia Clarke, Jennie Witton, Elizabeth Desbruslais, Bethan Langford. This entry was posted in Past Events on March 11, 2012 by AESS.